Sarah Nader - snader@shawmedia.com Artist Jason Neumann working on a painting in his home studio in Woodstock Wednesday, Sept. 20, 2017. Neumann paints using mainly wine. 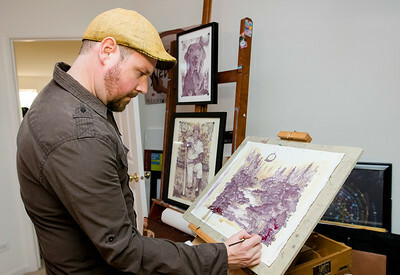 He also takes part in various community wine walks, demonstrating his painting and hosting interactive painting where people can dab in their own wine. Sarah Nader - snader@shawmedia.com Artist Jason Neumann dabs his brush in wine while working on a painting in his home studio in Woodstock Wednesday, Sept. 20, 2017. Neumann paints using mainly wine. He also takes part in various community wine walks, demonstrating his painting and hosting interactive painting where people can dab in their own wine. 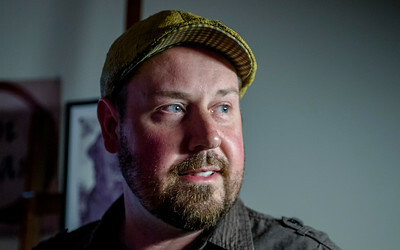 Sarah Nader - snader@shawmedia.com Artist Jason Neumann poses for a portrait in his home studio in Woodstock Wednesday, Sept. 20, 2017. 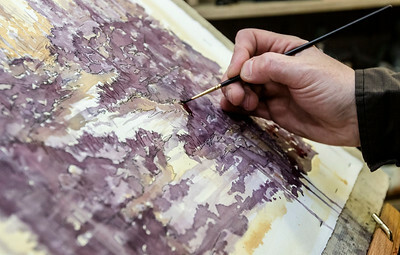 Neumann creates paintings using wine. 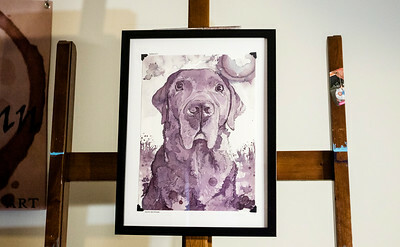 Sarah Nader - snader@shawmedia.com A view of a painting Jason Neumann did using wine of a client dog. Artist Jason Neumann working on a painting in his home studio in Woodstock Wednesday, Sept. 20, 2017. 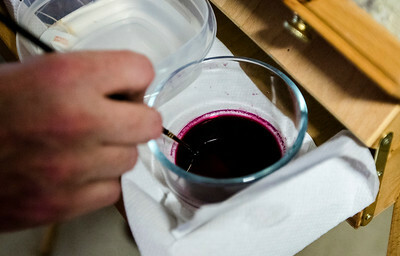 Neumann paints using mainly wine. 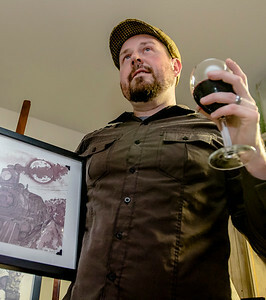 He also takes part in various community wine walks, demonstrating his painting and hosting interactive painting where people can dab in their own wine.